Campagnolo becomes the first road bike component manufacturer to bring a 12-speed cassette to market. 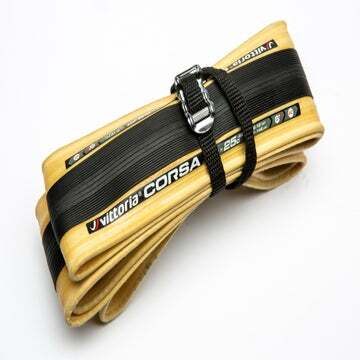 It was only a matter of time, and Campagnolo knew it. The Italian component manufacturer has brought to market the first 12-speed road group, a release it has dubbed “Movement 12.” And it’s noticeably sleek — instead of a massive gear cluster hiding your rear wheel, the new Record and Super Record cassettes are all about tight jumps between cogs. In fact, the new gear cluster looks remarkably similar to an 11-speed cassette. That, of course, hides the immensity of the engineering challenge Campagnolo faced when developing the 12-speed system. For starters, the chain is only marginally narrower. It’s also slightly lighter. Yet according to Campagnolo, it is stronger. It operates on a cassette that fits on existing 11-speed freehub bodies. Cassette gearing is available in an 11-29 version as well as an 11-32 version. For now, the 12-speed system is only available at the Record and Super Record level. The gear range is similar to that of 11-speed systems. But the steps between cogs are smaller, which allows the rider to maintain consistent cadence as terrain and pacing fluctuate. In other words, this new system doesn’t give you a super-high or super-low gear but instead gives you everything in between for smooth transitions between gear jumps. Think precision rather than broad strokes. You will, of course, need new Ergopower levers (the shape of which has been redesigned for improved ergonomics) and a redesigned pair of derailleurs to accommodate the 12-speed system. 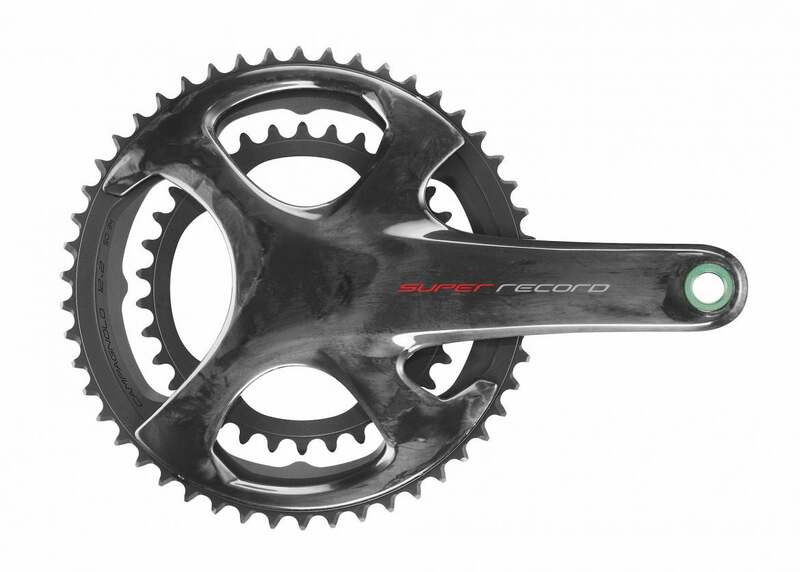 And you’ll notice the Super Record and Record cranksets have gotten a makeover as well. The four-bolt chainring system remains, but the crankarm has been redesigned for aerodynamic benefits. The cranksets are compatible with compact or standard chainrings in the usual combinations — 53/39T, 52/36T, and 50/34T. The crank arms come in four different lengths (165mm, 170mm, 172.5mm, and 175mm). Both a rim brake and disc brake version of the group will be available. 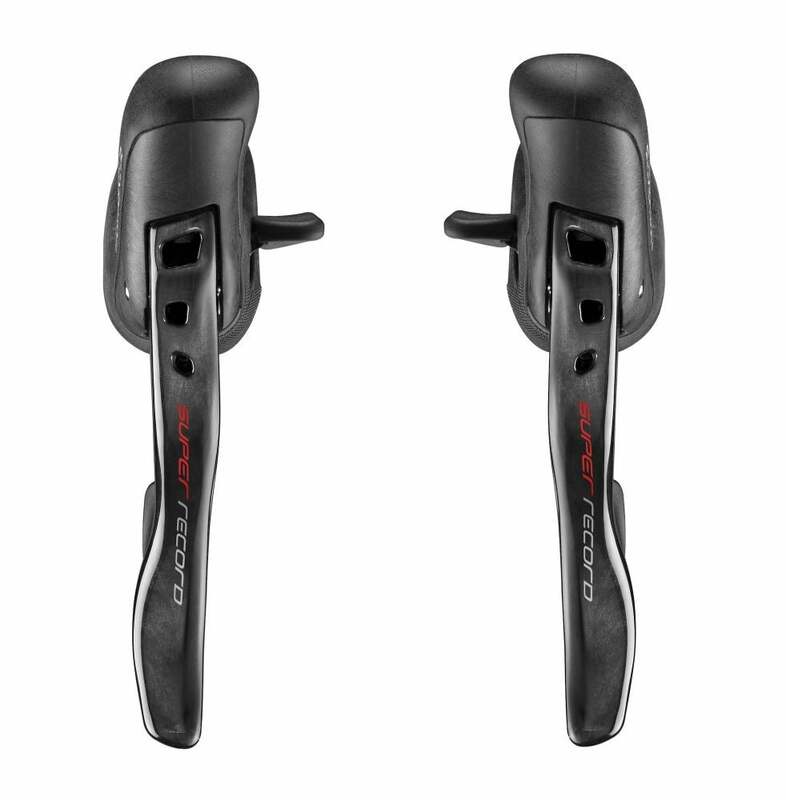 The disc-brake Ergopower levers are slightly taller than the rim brake versions to accommodate hydraulic internals. Campagnolo introduced its hydraulic disc calipers last year. The new caliper brakes for this latest group have been updated for better aerodynamics and to fit 28mm tires.